Here are the discussion questions that accompany my message, “Redemption in the Darkness,” from this past weekend at Eastbrook Church. 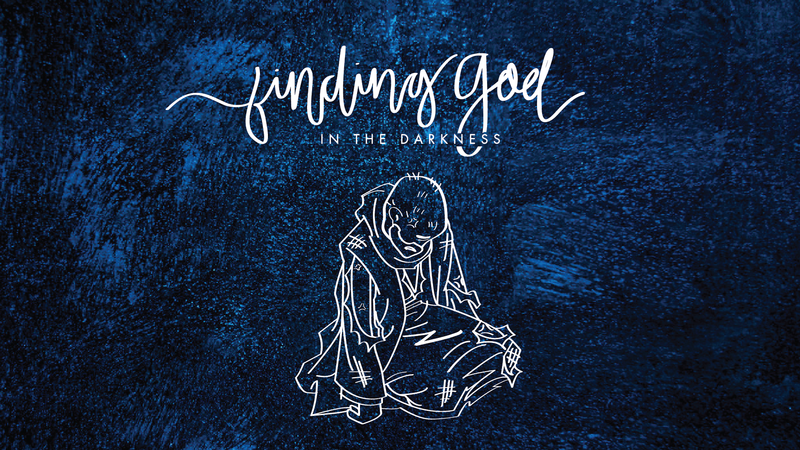 This is the sixth and final part of our series, “Finding God in the Darkness,” from the book of Job. This week we looked at Job 42:7-17. Have you ever experienced something being taken away but later restored? What happened and what did you feel afterwards? This weekend we conclude our series, “Finding God in the Darkness,” by looking at Job 42:7-17. Whether you are on your own or with a small group, begin your study in prayer, and then read that portion of Job aloud. As the book of Job draws to a conclusion, God brings restoration to Job from his great losses. However, it is not a simplistic restoration. The first section of this restoration involves Job’s three friends Eliphaz, Bildad, and Zophar. What is God’s accusation against them in verse 7 and what is God’s plan for restoration for them in verse 8? Battered, bruised and covered with boils, Job is approached by his friends with humility and repentance. What do you think is significant about Job’s prayer as it depicts Job’s relationship with God and his relationship with his friends? The next phase of Job’s restoration is more personal, covering his relationships, his material possessions, his children, and his years. What catches your attention from these different restorative works of God in verses 10-17? There are various different views on God’s restoration of Job’s life. Some see it as actually reinforcing the retribution principle of Job’s friends (that those who suffer have done wrong and those who have wealth have done right). Some see it as reflecting Job’s reward for praying for his friends. Others see it as simply God’s gracious gift in Job’s life. How do you view this restoration? Job has often been seen as a ‘type’ of Christ; that is, a biblical character who pictures forth what Jesus would be like and do. How do you think this is true? What is one specific thing that God is speaking to you through this specific study, but also through this series on Job? If you are with a small group, discuss that with one another and then take extended time to pray about what you share. If you are studying on your own, write it down, pray about it, and share this with someone during the next few days.